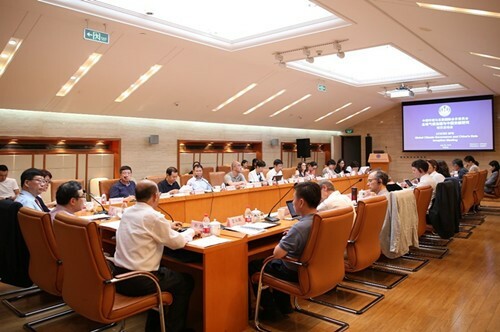 On July 28, the China Council for International Cooperation on Environment and Development (CCICED) kicked off the policy study project titled “Global Climate Governance and China’s Contributions” in Beijing. The project is jointly headed by WANG Yi, vice president of CASISD, ZOU Ji, president of Energy Foundation Beijing Representative Office, and Kate Hampton, CEO of Children's Investment Fund Foundation. The launch meeting was co-chaired by WANG Yi and ZOU Ji. First, CCICED Assistant Secretary General FANG Li gave a brief introduction to the history, current development, and future plan of CCICED, expressing great expectations to the project output. Vice Inspector SUN Zhen from the Climate Department of the Ministry of Ecology and Environment introduced the latest work progress made in his department and shared his thoughts on the recent institutional reform. He pointed out that China still has to enhance pollution control while strengthening reform in global climate governance and system building. At the same time, he hoped the project team can enhance communications with functional departments. After that, Special Advisor Iverson of CCICED introduced the key tasks of CCICED for 2018 and asked the project team to pay attention to synergy effect and gender equality in climate governance. On behalf of the project team, WANG Yi introduced the background and master plan of the project, which will: (1) clarify the roles and positions of China and other major countries in global climate governance in the new era;(2) study the form and scope of international cooperation to address global climate change;(3) propose China’s vision and mid-to-long-term targets to address global climate change; (4) identify the routes and measures to realize these targets; (5) study the means of coordinating climate change with environmental governance, economic and social development, and ecological civilization;(6) explore the new forces of green and low-carbon growth; and (7) provide countermeasures and plans to establish an effective system of global climate governance and help China effectively implement the Paris Agreement. Then ZOU Ji made a report titled “Driving Factor Management of Coordinated Development between Environment Quality, Climate Protection, and Socioeconomic Conditions”, which proposed the new climate policy’s framework of “driving force, pressure, state, influence and response”. Climate Change Supervisor LEI Hongpeng, on behalf of CEO Kate Hampton of Children's Investment Fund Foundation, shared international experience in climate governance. In the discussion session, the Chinese and overseas experts talked about the project tasks, major tasks for 2018 and the timetable. Professor Frank and Dr. Fischer introduced experience of Australia and Germany in climate governance. Director XU Huaqing suggested the study should focus on three topics of global climate governance, namely, climate negotiations, fulfillment of commitments to emissions reduction, and international collaboration. Director WANG Fengchun believed the focus of addressing climate change after the institutional reform should shift from making strategic planning of international negotiations to establishing the system of supervision and management. At the same time, it is necessary to give enough emphasis on the role of non-state actors in global governance system. Professor WANG Jinzhao pointed out it is now more urgent to coordinate control of local pollutants and global green gas emissions, and it is necessary to enhance cooperation on data monitoring, trading system and the governing agencies. Professor HAN Guoyi proposed considering the offsetting and trade-off in the synergetic management. Professor LI Zheng proposed that a blueprint on energy and climate should be made before making the blueprint to realize collaboration of energy, environment, carbon emission and other factors. 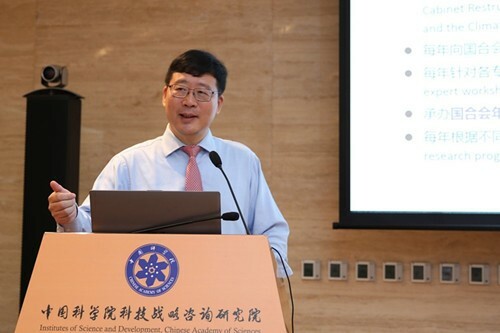 Professor KANG Yanbing emphasized that energy and energy-related policies play an important bridge role in climate and environment governance. Professor TAN Xianchun believed the key to climate governance lies in implementation, and it is necessary to consider the rights, responsibility and interest of local agencies when making institutional reform. Associate Professor WANG Pu pointed out it is necessary to obtain international experience in climate governance. The experts all believed the major tasks for 2018 should focus on institutional reform and global climate governance, and confirmed the timetable and major outputs for the next half of the year. 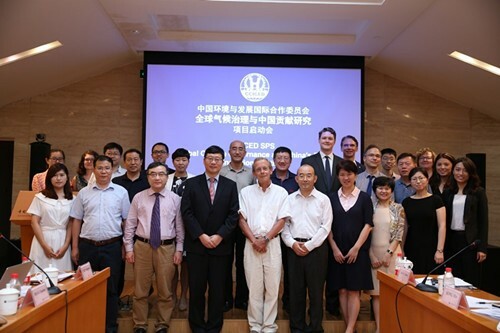 The meeting was attended by more than 30 participants, including official from the Climate Department in the Ministry of Ecology and Environment, Special Advisor to CCICED, representatives of CCICED Secretariat, sponsors and partners, and delegates from the CAS, Energy Foundation, Children's Investment Fund Foundation, National Center for Climate Change Strategy and International Cooperation, Tsinghua University, Committee of Environment and Resources of NPC, Development Research Center of the State Council, Energy Research Institute of NDRC, the Australian National University and Stockholm Environment Institute, etc.